Saturday Beginning Knitting Class: This Class will meet every 1st and 3rd Saturday of the month from 1 pm to 2 pm. You will learn the basics of knitting: casting on, the knit stitch, and casting off. Plan to arrive at the shop a little early to purchase your supplies. You will make a cowl or scarf for your first project. This class is designed to repeat the basic skills so that you can attend as many times as you need so as to become more confident in your knitting life. Dates: 1st and 3rd Saturdays of every month, from 1 pm to 2 pm. Cost: $10 per one hour session. Materials: Approximately 80-90 yards of bulky or super bulky yarn and a set of corresponding needles. Registration: This is a walk-in class, no need to register ahead of time. But we always appreciate it if you are planning to come and can let us know ahead of time. Skills Development Class: This class is a progressive class that will loosely follow the new Pom Pom book "Knit How". We will begin at the beginning of the book and work through the stages of building all the skill sets needed to become a proficient and confident knitter. 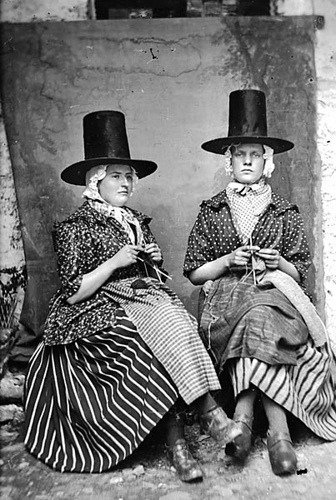 We will learn the basics and add new skills as we work through the book: knitting, purling, ribbing, knitting in the round, garment construction and other miscellaneous but essential techniques. You can attend this class from the beginning if you are a brand new knitter or if you want to refresh your knitting skills. You can join at any intermediate stage if you possess the skills that we have already addressed and are looking to learn something new. We will provide a vague syllabus so that you can see what our goals are, and we will update the schedule as we go in keeping with the progress of the class. Dates: This class will meet the 2nd and 4th Saturdays of the month from 1 PM to 2 PM. The first class will be held January 26th. Materials: Purchase of the Pom Pom book "Knit How". Materials will vary according to the techniques and projects as we work our way through the book. Registration: This is a walk-in class that does not require pre-registration but due to the progressive nature of the material you will want to be in contact with the shop to see where we are and what the project is. We will have the books available for purchase but may have to re-order if demand exceeds supply, so it would be helpful to let the shop know if you are interested so that we can make sure we have enough books. 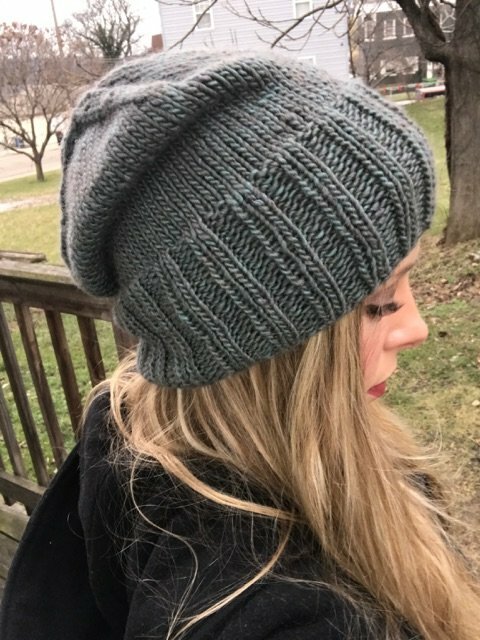 Great for first time hat knitters - this easy Churchmouse pattern can be worn slouchy or as a close fitting ski-cap style beanie. Stop by the store before the first class to choose your yarn. Some of our favorites for this style: Katmandu Aran, Swann's Island, Moonshine Chunky, Terra, Ella Rae Bulky and Rowan Felted Tweed Aran. Date of class to be announced. Cost: $20/Per person for a 1 hour class/3 person minimum otherwise $25 per person. Is there something you would love to knit but need a teacher's guiding hand? Why not suggest a class to us? We would be happy to create a personalized class for you in our cozy classroom. We need a minimum of three people for a class--get a group of friends together or we'll spread the word on our social network to get it set up for you! 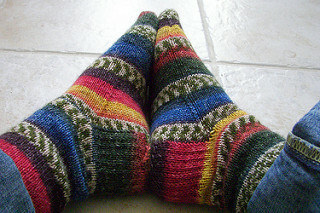 We will be using worsted weight yarn to knit your first pair of socks so you can wear them in no time! Skills required: some experience using double pointed needles (DPN'S), knitting in the round, and casting on. If you need a refresher or have never used DPN's, please schedule a private lesson or take our DPN mini-class prior to the sock class to learn how easy is it to knit with them! There is homework that needs to be completed prior to the first meeting of this class. Please pick up your instructions and materials list upon registering! Private Lessons: Groups aren't your style? No problem. Schedule a one-on-one hour session with one of our staff. You're sure to get the personal attention you need in a relaxing and supportive environment ! Give us a call at the shop! We can get you started on knitting your first project, or help you finish one that you have already started and need a little help with!